Almost all business owners know that they need to be on Facebook — and increasingly, on Instagram — and plenty are also focusing their time and effort on Pinterest. But what about YouTube? It’s one of the original social networks, and as the stats suggest, it has the most engaged followers. Actually, there’s only one stat that really matters: with 30 million visitors a day, YouTube is the third most visited website in the world which is just one reason you want to make sure your channel is optimized. There’s an enormous database of interested and engaged users, many of whom are happy to subscribe to channels with content that interests them. By building up a solid following on YouTube, you can increase brand awareness and your customer base quickly. In this post, we’re going to take a close look at why you should be marketing on YouTube, and how to optimize your YouTube channel to gain more subscribers and then turn those viewers into customers. YouTube doesn’t get as much attention from marketers, or on social media news sites, as some of the other platforms do. That’s probably because people aren’t really on YouTube to share content—they come to view it, just like they visit a blog to read a post. The good news for brands is this means when someone arrives on your YouTube channel, they’re ready to hear what you have to say. When approached correctly, marketing on YouTube can provide plenty of ROI. This is especially true considering that YouTube videos rank incredibly well in search engines. 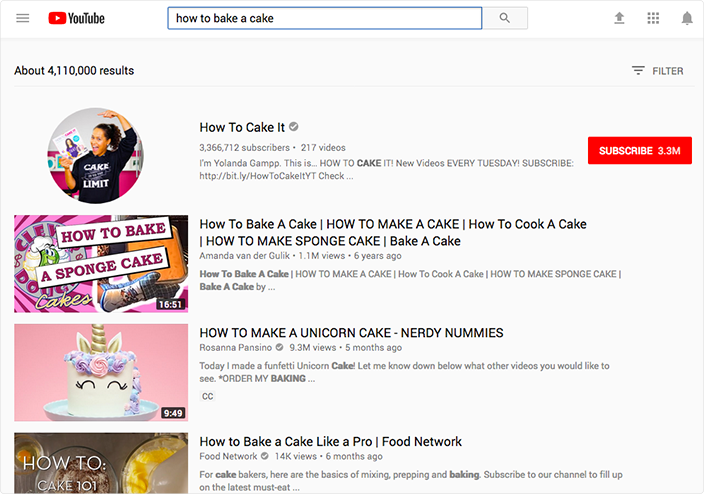 YouTube’s own search engine is also a powerful entity in and of itself and can send significant traffic to your website, your blog, your ecommerce store, your other social channels — you get the idea. YouTube has a diverse audience, with people from all generations using the site regularly. More than 500 million hours of YouTube videos are watched every day. About one third of Internet users have a YouTube account. One of keys to success with YouTube marketing is building up a following on the platform, just like all other social media and content marketing sites. Let’s take a look at how to optimize your YouTube channel for more followers. Of course you’ve chosen your account’s profile picture carefully. That’s a great start! But did you remember to create your YouTube banner, too? The YouTube banner is like Facebook’s cover photo, and it will appear across the top of your channel when users visit your channel’s page. Your banner helps you quickly portray what your channel will focus on, and can be a great opportunity for branding. It can help your channel look both more appealing and more professional; both of these will give you instant credibility and can help you increase your subscriber count. Because the banner is located right above the “Subscribe” CTA, it can also help draw the visitor’s focus right where you want it. When potential viewers first visit your channel, they’ll notice two things right off the bat: the first may be the banner image. The second will probably be your featured video. You can choose a feature video from any of your uploads, or create a video specifically for this purpose. I recommend doing the latter; it allows you to create a short video (no more than 90 seconds, preferably) to welcome viewers to your channel and explain what you can offer them. This brief clip may not seem like a big deal, but in my experience it can go a long way in getting people to subscribe. Asking people to subscribe to your channel is a must-do — and yes, people will actually subscribe just because you ask! But if you give them a reason to, they’re even more likely to hit that red button. “Subscribe so you get my next video first!” or “My subscribers get exclusive content” and “Subscribe so you can enter my giveaway” are examples of language to try. You also have tons of opportunities to incentivize people to perform additional actions, as well. For example, you could add a link to a contest or giveaway in your video’s description and then embed it in a web page or Shopify store to direct your viewers to a place where they could make a purchase. Contests and giveaways are also powerful because they allow you to collect names and email addresses from your viewers, and that info that can really come in handy down the road. Require an email address in your giveaway’s entry form, include an opt-in checkbox and just like, you’ve got a new email list you can send scheduled emails to. 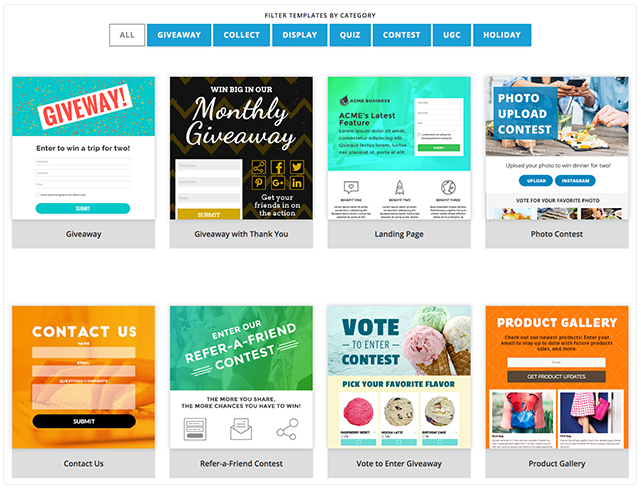 If you use a third-party provider like ShortStack, you can even find YouTube-specific contest and giveaway templates to place in the about and/or description sections. I’m always amazed by the number of channels I see without any links in the video’s description section — don’t be one of them! Growing your subscriber base initially relies on getting your content in front of new people. While this can happen through social shares, you’re also likely to connect with your target audience on YouTube by focusing on the right keywords. This is because both Google’s search engine and YouTube’s own search engine are reliable ways to steer people to specific content they’re searching for. In other words, on Facebook and Instagram people are more likely to stumble on your content whereas on YouTube they’re seeking it out. You should place keywords in both your video title and your video description. 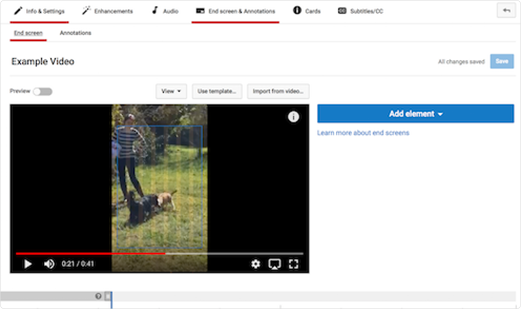 You should also choose relevant tags when uploading or editing your video, which work like keywords. All of this can be done when you initially upload the video, and it can be edited at any time later on. If you want to get more followers, it doesn’t hurt to let your viewers know that and to actively remind them to subscribe. We all know how powerful CTAs can be, and this is no exception. In addition to urging viewers to “Subscribe!” at the bottom of your description, you can add “Subscribe Now!” CTAs to the end of every YouTube video by adding YouTube elements to the last portion of it. Previously this could be done with annotations, but that feature has been deprecated. You can do this under the “End Screen & Annotations” tab when you’re editing your video. And when in doubt, you can always pre-edit a text or video CTA into the video before you ever upload it. If someone has found your videos, you want to encourage them to subscribe and to keep watching. This shows them that you have more great content to offer, and actually increases the chance that they’ll subscribe if they like two or more of your other videos. It also helps users to more efficiently browse your content and find videos that they’re interested in. Playlists should be organized based on similar subject matter and campaigns, and—just like the videos themselves—be optimized with keywords. You can see more about how to create and manage playlists here. Ready to Make YouTube Work for You? YouTube marketing has the potential to offer big benefits to any business, but only if you’re able to build a following to get your videos the visibility they need. By increasing your subscriber base, you’ll be able to automatically boost your videos’ visibility and social proof all at once. This will help your videos get found more easily, and make a bigger impact on your overall marketing efforts. Once your channel is optimized, you can start running more active campaigns—including YouTube contests!—and see better results long term.